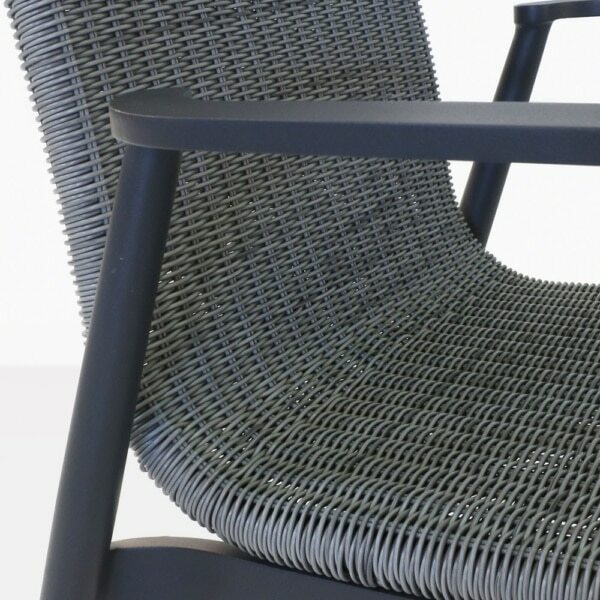 Sleek, contemporary structure is brilliantly present in the divine Baltic Outdoor Dining Chair. Strong European influences with extraordinary lines and contrasts give this stunning chair a unique feel that brings luxury and opulence to your outdoor setting. 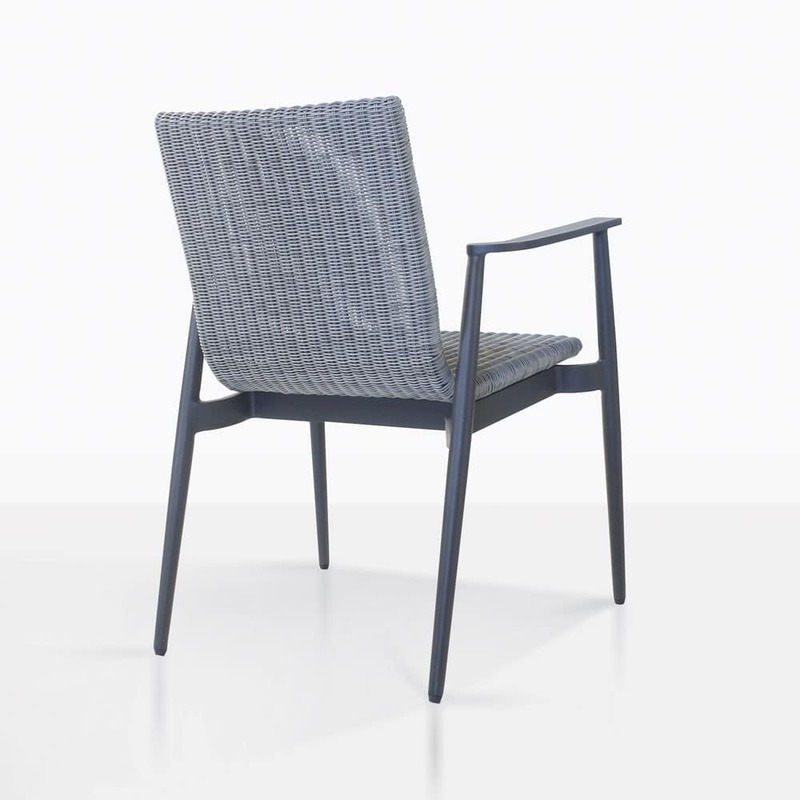 W24.3" x D23.75" x H31"
Combine classic outdoor materials, modern design, and sleek lines and you get the outstanding Baltic Dining Chair. The powder coated aluminum frame is angular and modern. 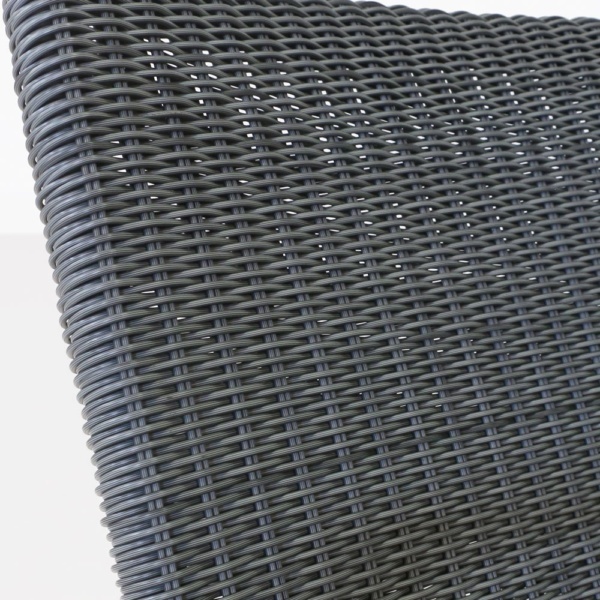 The high tech outdoor wicker is expertly wrapped around the frame keeping the profile slender and sharp. We love the Baltic Outdoor Dining Chair with our reclaimed teak, a-grade teak and concrete dining tables. Imagine a lofty, rustic setting, complete with chunky reclaimed teak table, and heavy-duty planters making way for dinner parties that go well into the night. You need to be comfortable and you need to make a statement. 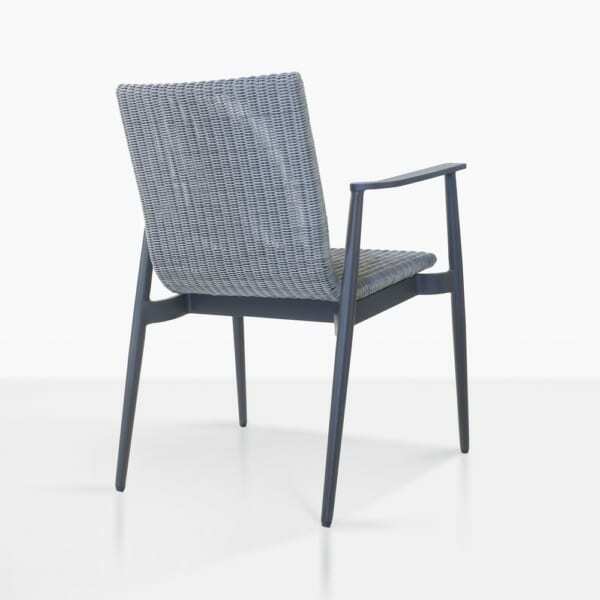 Position several of the Baltic Outdoor Wicker Dining Chairs around your dining table and watch as this charismatic setting invites people to sit back, relax and enjoy the considered, well detailed setting you have created. On the other end of the spectrum, an urban haven with strong concrete and metal influences is welcoming a clean, sleek look to tie together a contemporary, state of the art setting. 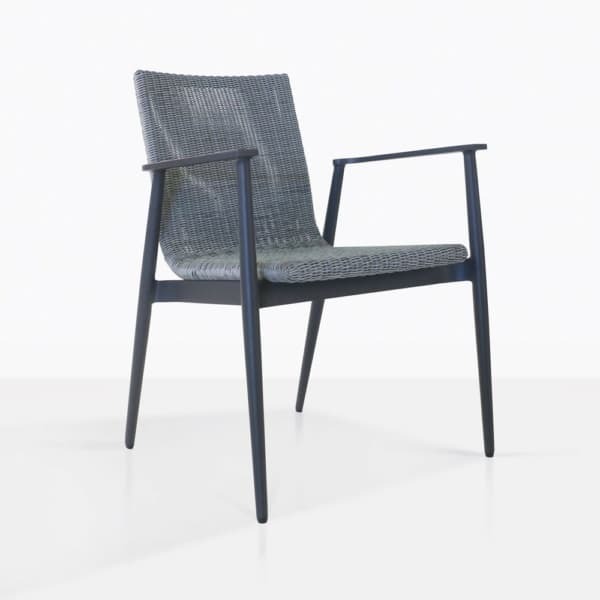 Situate your Baltic Dining Chairs around an aluminum or laminated table top for a look that really speaks to modern principles of simple, sleek and stylish living. Through dyed wicker and robust powder coated aluminum form the basis for an outdoor chair that is strong and hardy, and a deterrent for corrosion and rust. 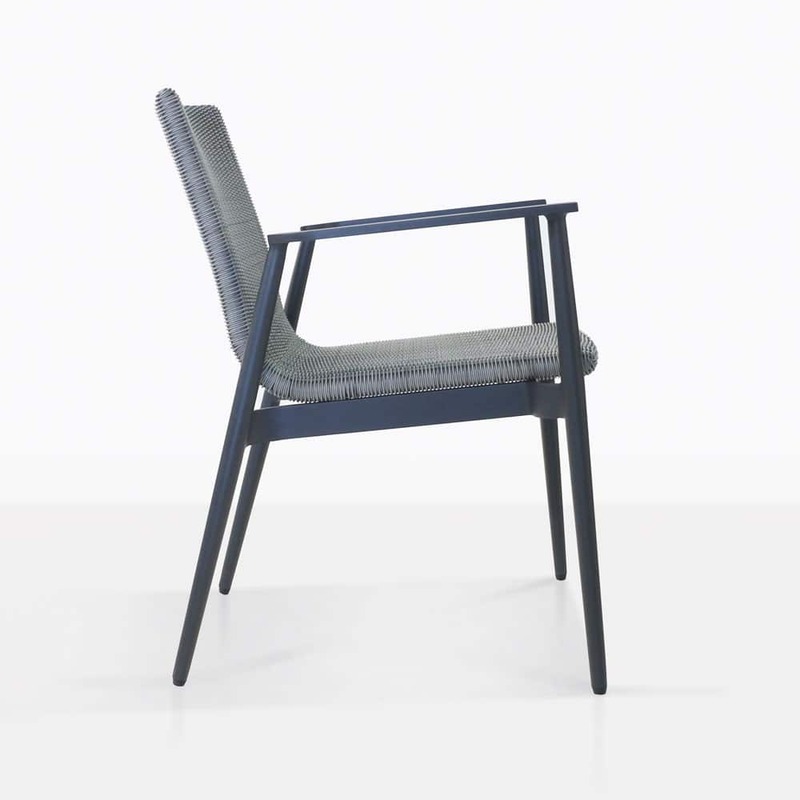 Our Baltic Chair requires minimal maintenance, ensuring you have a no fuss chair that looks exquisite, day after day, year after year. At Teak Warehouse, we have an incredible array of dining, deep seating, shading and much more – all items that mean your open-air living can be one of luxury, joy, style and comfort. Call or email us today to learn more about the Baltic Dining Chair. You deserve luxury. It’s time to gain it.